A fruity, delicate and light single malt that has been finished in the finest rum casks from the West Indies. Nose Light and fresh on the nose with aromas of honey, fresh oak, lemon, lime, pineapple, coconut husk and orchard fruits. Palate Soft and delicate with some lightly spicy oak. Tropical and orchard fruit flavours with touches of honey, white flowers, white grapes, coconut and melon. Types of Barrel used for Aging Finished in rum barrels from the West Indies. 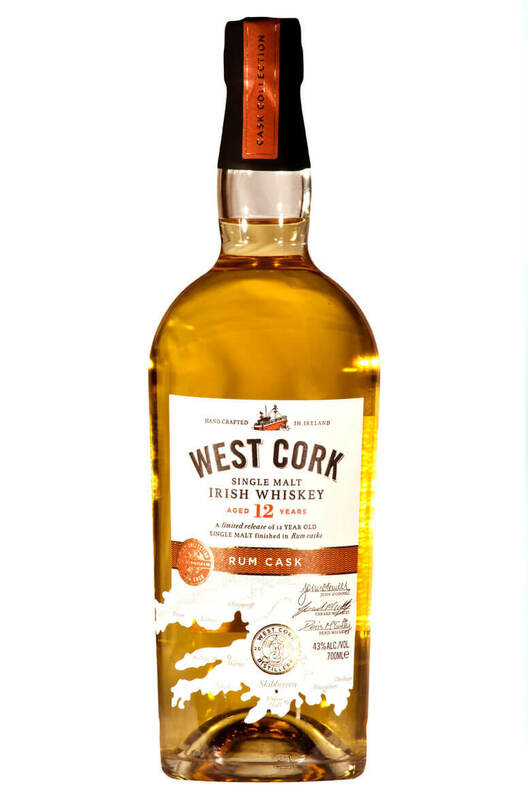 This blend from West Cork has gone through some clever finishing in highly charred bourbon barrels. ..